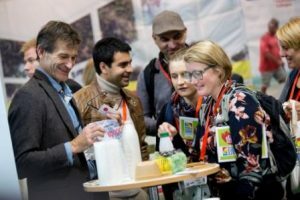 Leading organisations including Organic Sweden, KRAV, Paradiset, Skåne Food Innovation Network, Menigo, Södertälje, Organic Denmark, Ekoweb, Global Organics, Marije Vogelzang, and EkoMatCentrum have now been confirmed to appear in the Nordic Organic Food Fair’s Organic Theatre, over 15-16 November, at MalmöMässan in Sweden. The Nordic Organic Food Fair – the Nordic region’s biggest trade show for certified organic food and drink – will provide a unique opportunity for visiting buyers and retailers to gain exclusive industry insights, hear advice from opinion formers, and discover opportunities for future growth in its packed two-day seminar programme. Topics up for discussion include global sustainable development, social responsibility, innovative organic policy, animal welfare, food origin and preparation, disrupting the grocery oligopoly, and green harvesting. According to Euromonitor International, ‘growing threats to sustainability are leading both governments and businesses to explore different elements of the green economy.’ This momentum, also driven by consumer growth in eco-awareness, has created vital conversations surrounding sustainability efforts and how this relates to the organic world – particularly when it comes to food consumption and production. Paul Holmbeck, director of Organic Denmark, has worked in politics, market development and communications for over 30 years. He’ll be bringing his expertise to the Organic Theatre in a discussion about innovative organic politics, sharing how the Danish model has achieved its position as a world leading organic nation through effective lobby work and policy. “The organic farmers, food companies, consumers and allies are developing new solutions for the environment, animal welfare, climate and biodiversity every day, and building a new green economic sector at the same time, that can create jobs, value and new opportunity for farmers and communities in rural areas. The organic principles and values drive innovation, because we are always trying to reach our goals for sustainability,” says Holmbeck. This remains central to the programme, and echoes the voice of many of the speakers who are dedicated to shaping a better future. Christoffer Carlsmose, corporate sustainability manager, at Menigo Group Sweden and Sara Jervfors, head of diet unit at Sodertalje Municipality, will be discussing ‘The food industry’s role in sustainable development’, and will be unveiling future plans for global sustainable development, with initiatives like ‘Agenda 2030’ and ‘Diet for a Green Planet’. “Time is short and we need to review how we can contribute to reach the 17 global goals, with its 169 milestones. 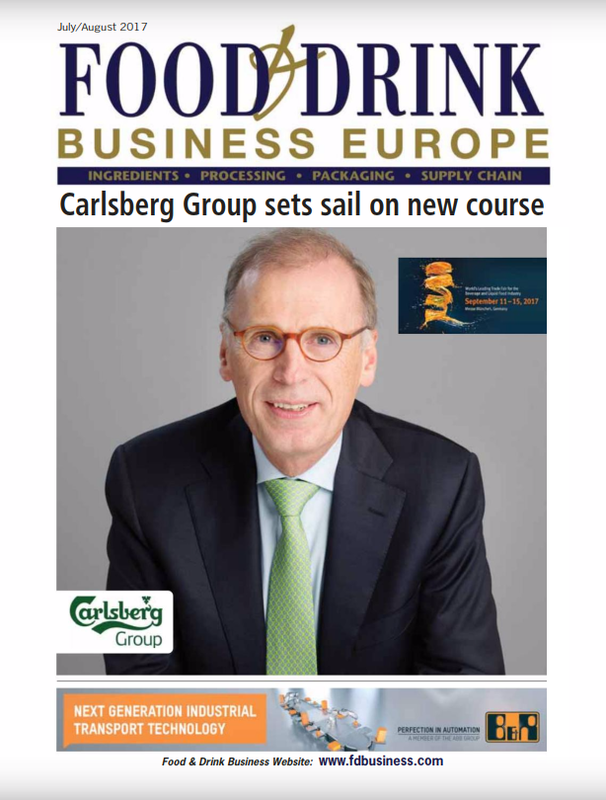 All of us who work in the food industry are responsible for achieving these global goals,” says Carlsmose. “Mankind is now quite literally borrowing from its children’s future to sustain today’s lifestyles,” adds social innovation expert and CEO of Skåne Food Innovation Network, Lotta Törner. Spending a large part of her career championing innovation in food, Törner will be discussing what innovations must be taken to transform a fragmented global food industry into a smart, sustainable and integrated system. Proving that integrated, sustainable systems can work, Dave Alexander, CEO of Global Organics, will be talking about The Native Green Cane Project in Brazil – one of the largest sustainable, biodiverse and certified organic production programmes in the world. Earning numerous accolades, including being named one of 16 ‘Sustainability Champions’ worldwide by the World Economic Forum, Alexander will be talking in depth about the project and the environmental benefits it provides, on 15 November, at 4.00-4.45pm. Charlotte Bladh André (Organic Sweden), Nina Nilsson (KRAV), Per Ågren (Pear & Carrot) Cecilia Ryegård (Ekoweb), food designer Marije Vogelzang, Anita Falkenek (KRAV), Mimi Dekker, and Eva Fröman (Lilla Ekomatsligan) will also be hosting lively discussions in the Organic Theatre over the two days. For the full seminar line-up and timings, please visit www.nordicorganicexpo.com/education/organic-theatre. 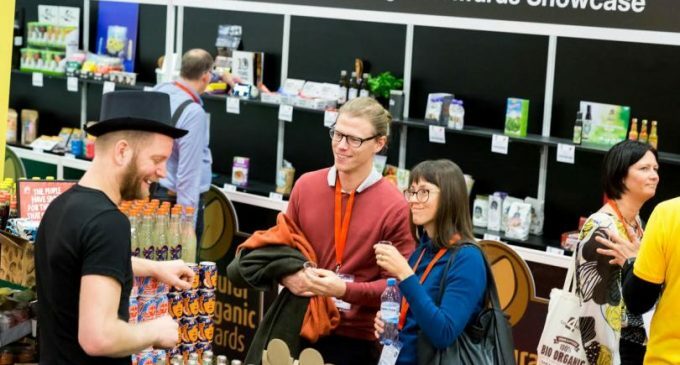 The Nordic Organic Food Fair, co-located with Natural Products Scandinavia, will return to Malmö, Sweden, on 15-16 November. 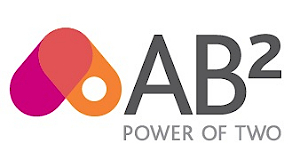 Fast becoming the ‘go to’ show for discovering new ideas and concepts in the region, thousands of food buyers, retailers and foodservice professionals will be among the first to discover the next best-sellers and exclusive launches from over 400 leading exhibitors.